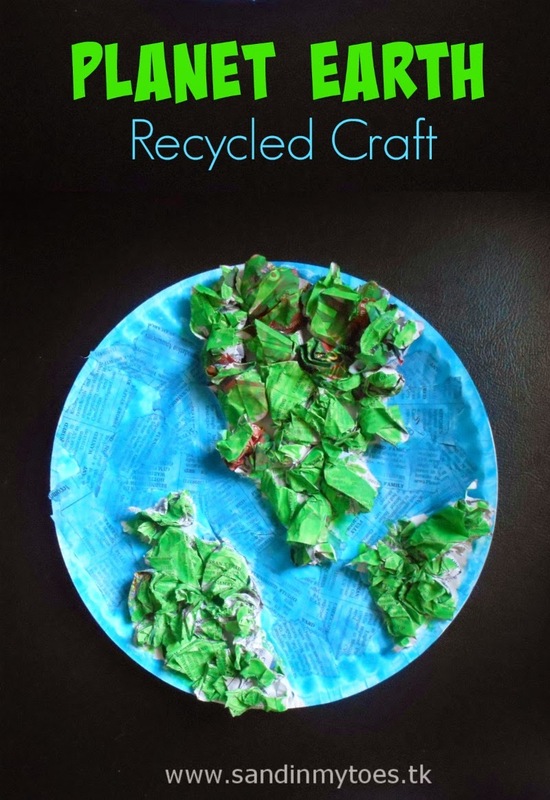 For Earth Day on April 22, we made this craft which also symbolizes recycling and reuse. It's made with old newspaper using a mix of techniques, and can be a great sensory craft too because of the textures. 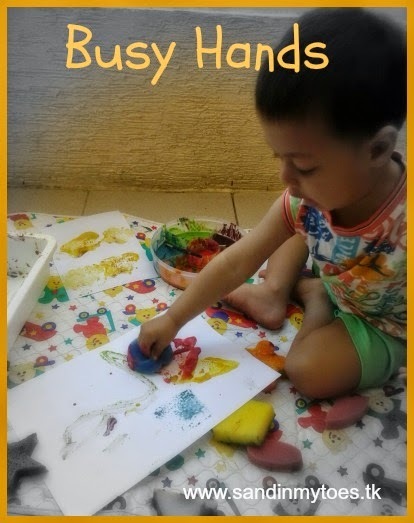 As with most of our crafts, it's pretty easy to make, and toddlers and preschoolers can make it themselves with a little help. 1. Tear up some of the newspaper into pieces, and roll some of it into paper balls. 2. 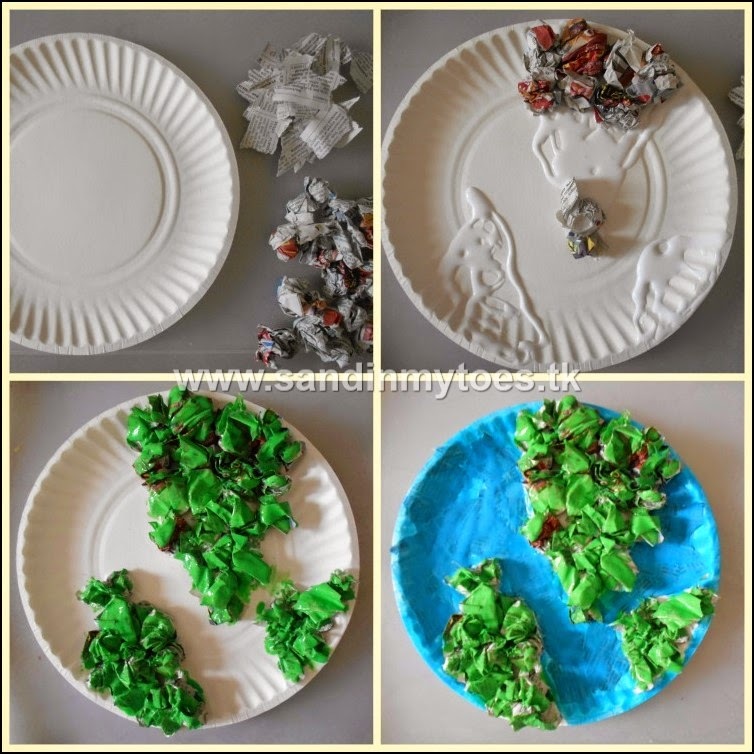 Put glue on the area for the 'land' on a paper plate and paste the paper balls there. 3. Make a mixture of glue and green paint (about equal) and paint on the land area. 4. Next, make a mixture of glue and blue paint, and use it to paste the newspaper pieces on the rest of the area. 5. Let it dry, and you're done! That looks really effective and creative. Love simple crafts for little ones. That's a great learning idea! What a great idea, I can imagine quite a few textured things that we could make together.